CHICAGO — Urban Meyer said on Tuesday at the Big Ten football media days that firing receivers coach Zach Smith on Monday following reports of domestic violence was a decision made for “the best interests of the team” and that other people besides him were involved in making that decision. 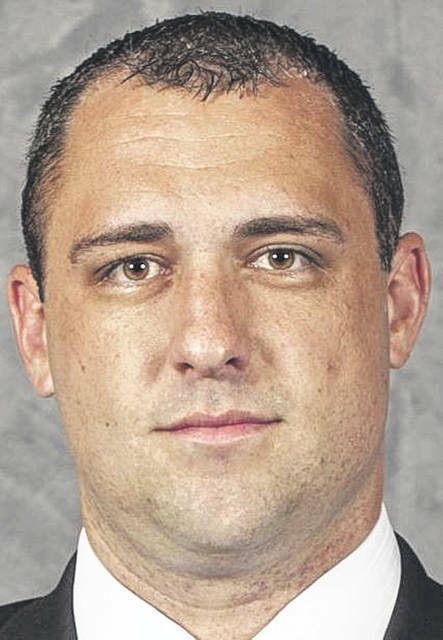 Smith, the only remaining assistant coach from Meyer’s first staff at Ohio State in 2012 and the grandson of former OSU coach Earle Bruce, was the subject of a civil protection order filed by his ex-wife’s attorney last Friday. After that it was revealed that police had been called to the residence of Smith and his ex-wife Courtney after an incident in 2009 while he was a graduate assistant on Meyer’s staff at the University of Florida. From there, things began to move quickly. When questioned about why the 2009 incident did not affect Smith’s employment earlier, he said, “In 2009 Zach was an intern, a very young couple. As I do many times, most coaches and people in leadership positions, you receive a phone call, first thing you do is tell your boss, let the experts do their jobs. We’re certainly not going to investigate. “It came back to me that what was reported wasn’t actually what happened. And Shelley and I actually both got involved because of our relationship with that family and advised for counseling and wanted to help as we moved forward. “I got a text late last night something happened in 2015. And there was nothing. Once again, there’s nothing. I don’t know who creates a story like that,” Meyer said on Tuesday morning. The Columbus Dispatch reported late Tuesday afternoon that Powell police were called to the home of Courtney Smith twice in 2015 to investigate reports of domestic abuse. The family relationship Meyer referred to was that Earle Bruce was his coaching mentor and someone he often has described as an influence second only to his father. “Coach Bruce now is the strongest relationship I’ve ever had other than my father. I’ve made that clear many, many times,” he said. “It’s a very personal matter. The decision was made. I think the details that I’m obligated to give, I gave. You’re talking about people’s lives, et cetera. So the decision was made. It’s time to move forward,” he said. The expectation is that former OSU receiver Brian Hartline, in his second year as a quality control coach working with the Buckeyes’ receivers, will take over Smith’s position. But Meyer said that decision has not been made yet. “That decision will be made later in the week. Any speculation up to that point is certainly that. I have not even addressed my staff. It happened rather quickly. I get back tonight. Tomorrow we’ll have conversation. I’ll probably release something by the end of the week is what our plans are,” he said.